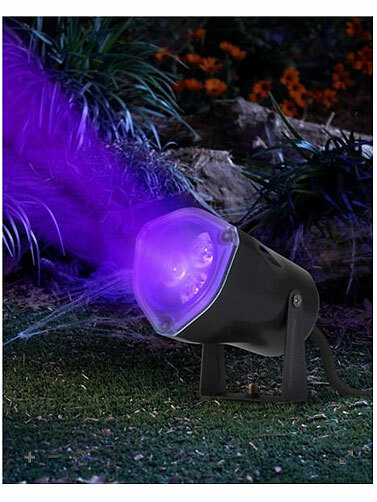 Black Light Strobe LED Spotlight gives you two spotlights in one. Use the black light alone or switch to a pulsating strobe effect. Perfect addition to your Halloween Lightshow display. Attached 6" ground stake with swivel for precise placement. Indoor/outdoor. UL power cord measures 6'L. 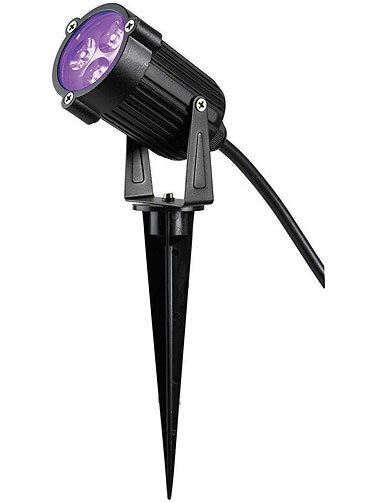 Black Light Strobe LED Spotlight measures 2.5" in diameter x 4.5"H.